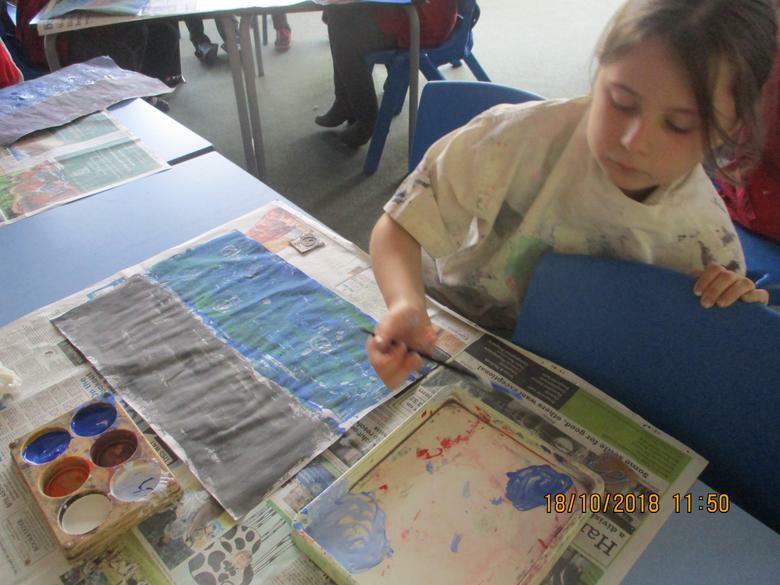 04.04.19 Today year 4 had an RE day. We looked at Easter and the Paschal Candle. We had some great discussions about different rituals that we use for important events in our lives. 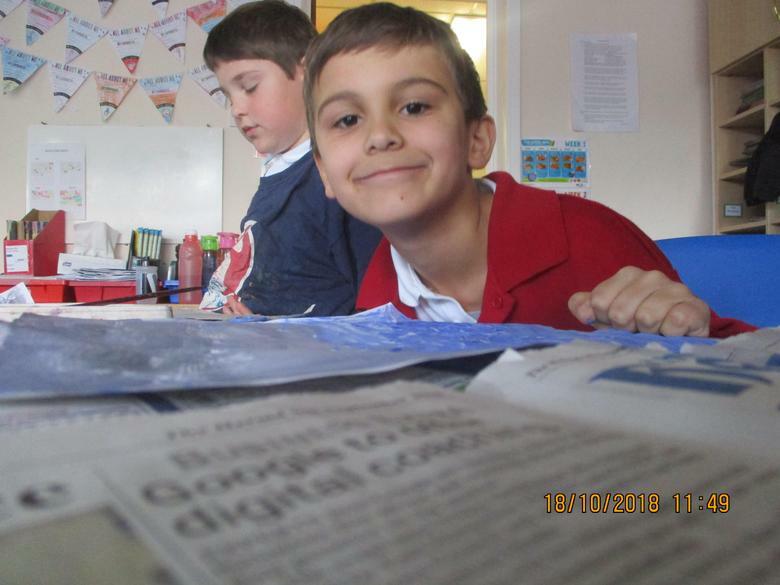 28.03.19 In Science today we were investigating whether the temperature of the water affects how fast something melts. We were all left hungry after smelling melted chocolate all afternoon! 11.03.19 Today we had an RE day where we explored the Buddhist festival of Wesak and the idea of enlightenment. We had some brilliant discussions and re-enacted what happens during the festival. We even had a go at meditating ourselves. We found it very relaxing and were able to forget all our worries! 08.03.19 We won the attendance bear again! Well done Cuckoo class! 07.03.19 World Book Day - Roald Dahl! 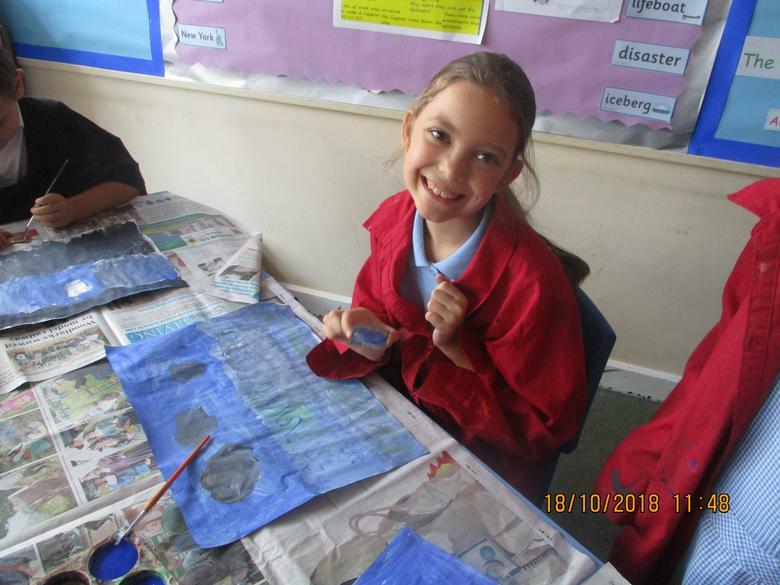 01.03.19 On our volcano topic day we created volcano paintings using our fingers. 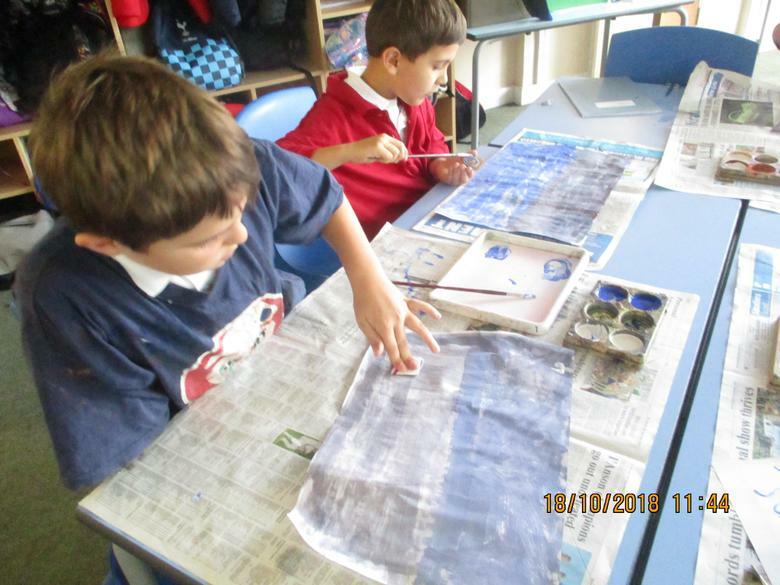 We had lots of fun getting very messy! 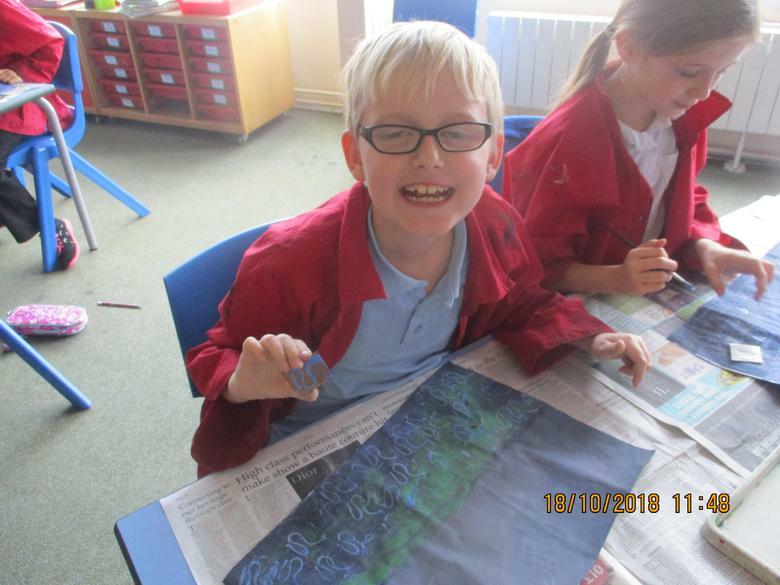 25.02.19 Last half term, we had lots of fun learning about circuits and electricity. For our final pieces, we created working lamps! 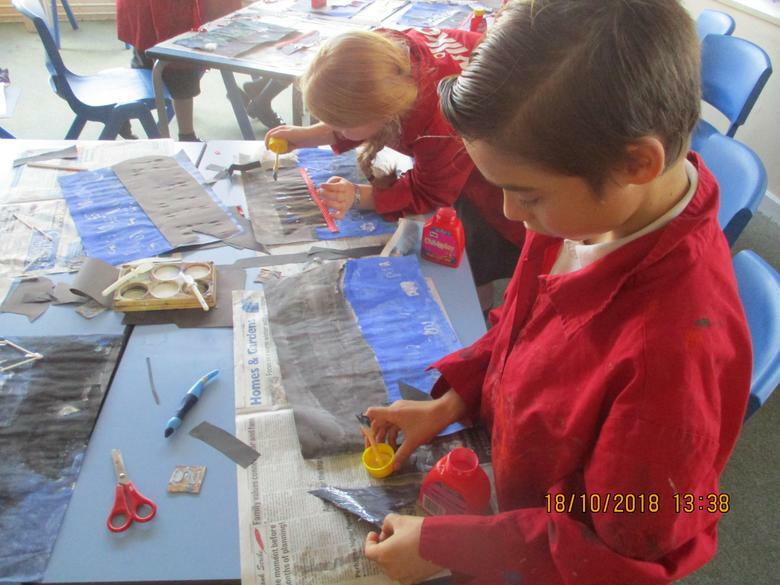 15.02.19 We have created pictures of the Iron Man based on our work in English. 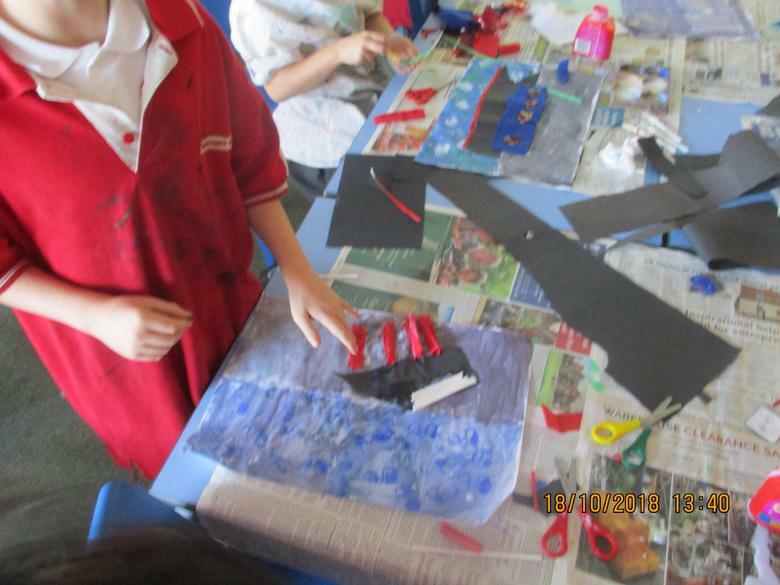 We used different materials to create a collage. 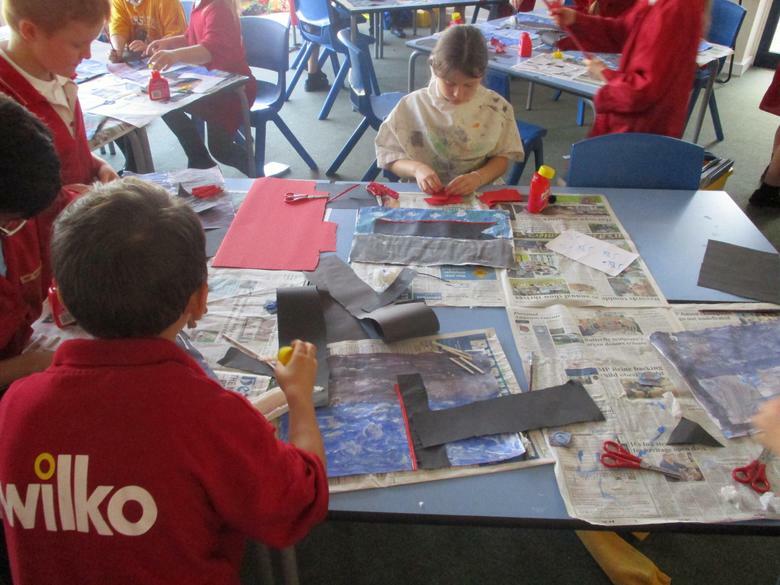 We also used oil pastels to create an image of the Iron Man and the Space-bat-angel-dragon! 25.01.19 Cuckoo class are very pleased to say we won the attendance bear again this week! 11.01.19 Making a human circuit! 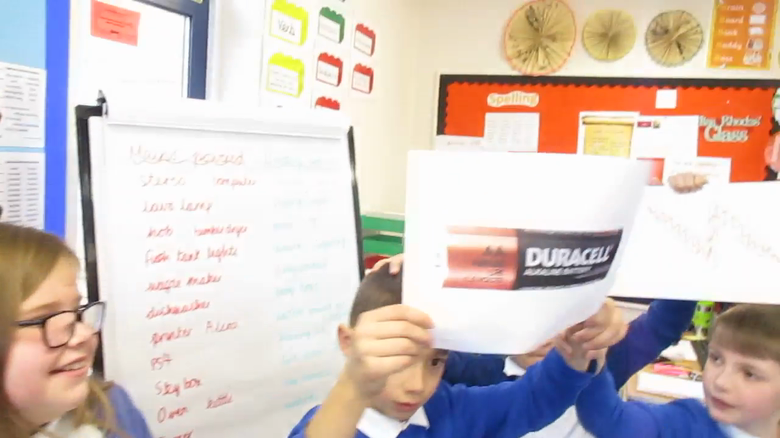 On our topic day we decided to make a human circuit with a switch, battery and light bulb. There was a lot of energy running through us! 11.01.19 We had a great topic day today! We thought about life without electricity, built a human circuit before using real components to switch on light bulbs and motors. 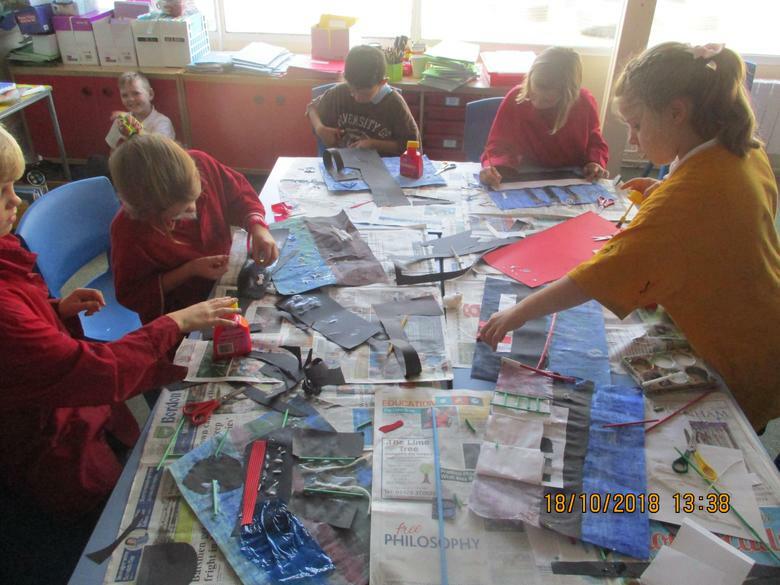 In the afternoon we designed our own villages using renewable energy. 20.12.18 Year 3 and 4 were amazing in their Christmas play of Bethlehem: The Musical! We are particularly proud of all the hard work Year 4 put into making it such an enjoyable performance. Well done and Merry Christmas! 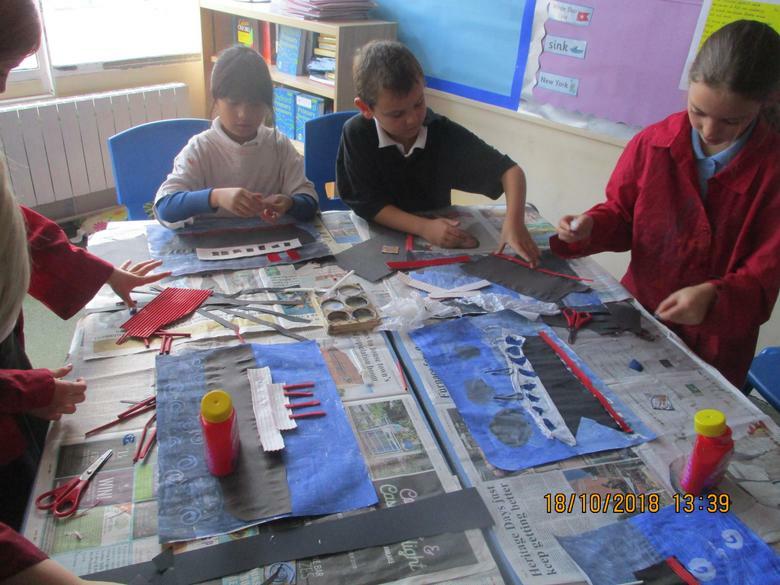 23.11.18 Cuckoo class had great fun designing our Arctic vessels for our trip to Svalbard. 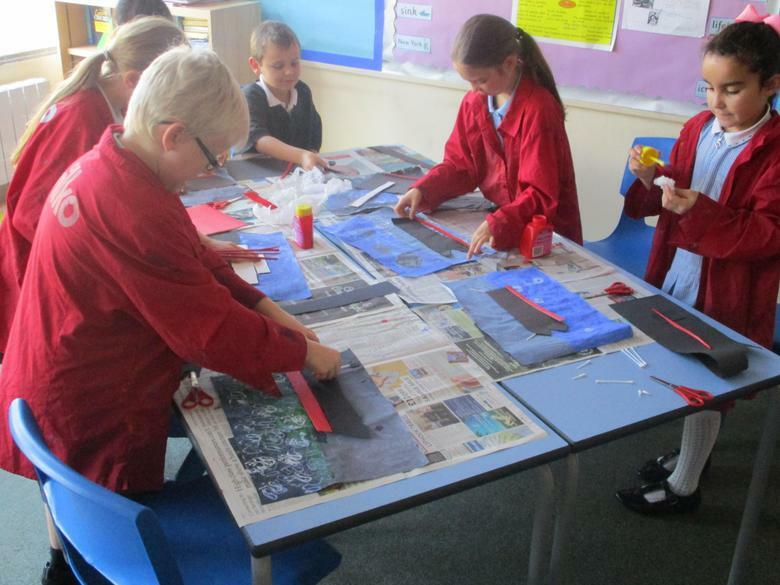 We investigated waterproof materials, designed them using examples and built our vessels using our previous learning. 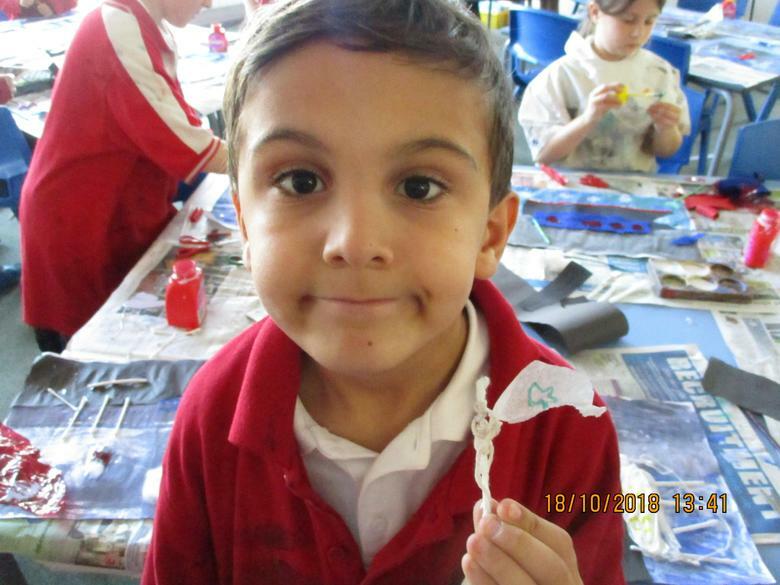 23.11.18 Cuckoo won the attendance bear again this week! 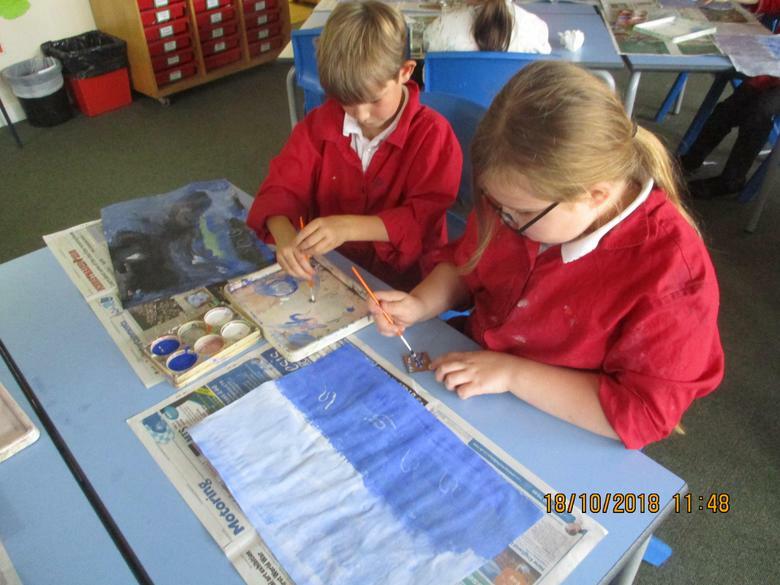 On Thursday 18th October we had so much fun creating our mixed media Titanic artworks, inspired by the work of Gustav Klimt. 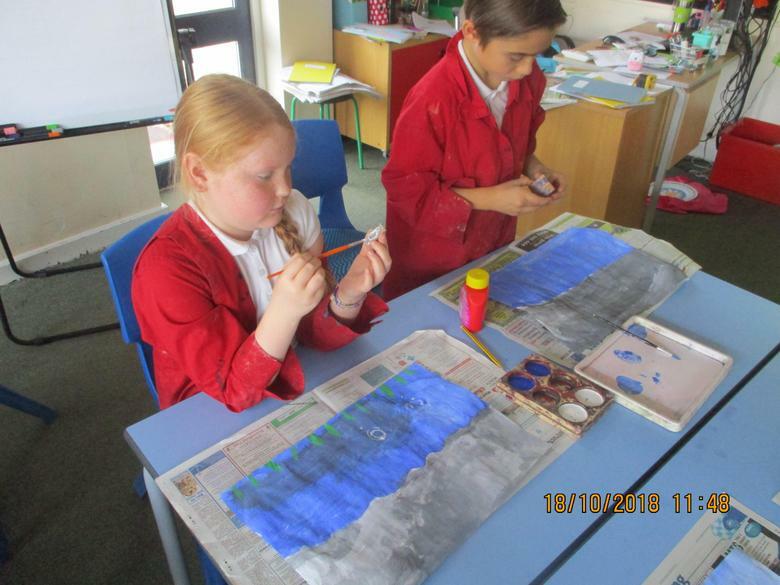 Year 4 had great fun playing their board games on Monday 15th October. 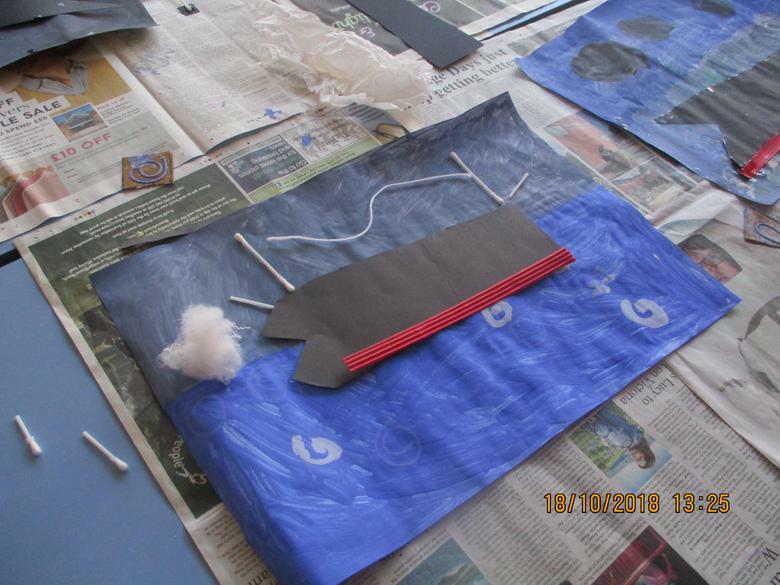 The children had to create a game inspired by the Titanic that could have been played on board the ship. Mr Clarke and Miss Rhodes were so impressed with the quality of the games. 21.09.18 Today in Maths we were all the teacher! Each group took it in turns to teach the rest of the class how to add using exchanging. 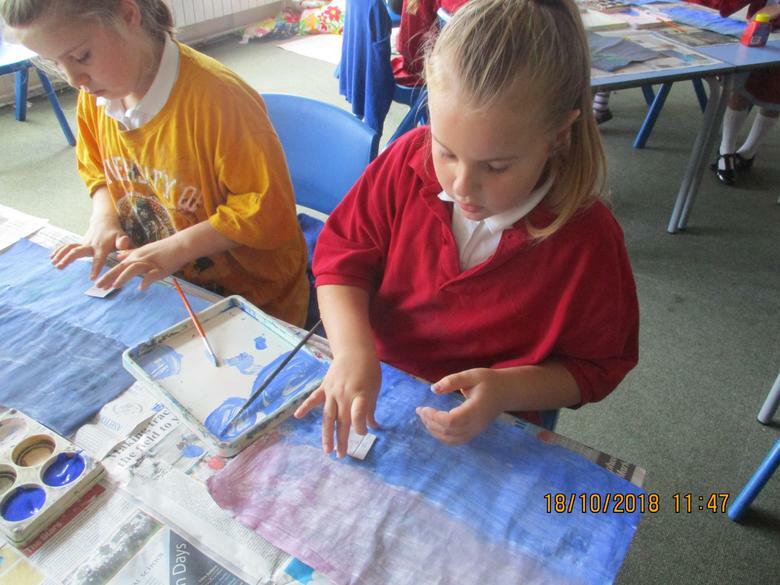 19.9.18 Today we were looking at using different bits of apparatus to find balances. We had great fun and we can't wait to put it into sequences! 13.9.18 Cuckoo class won the attendance bear for this week and it's only the first week back! 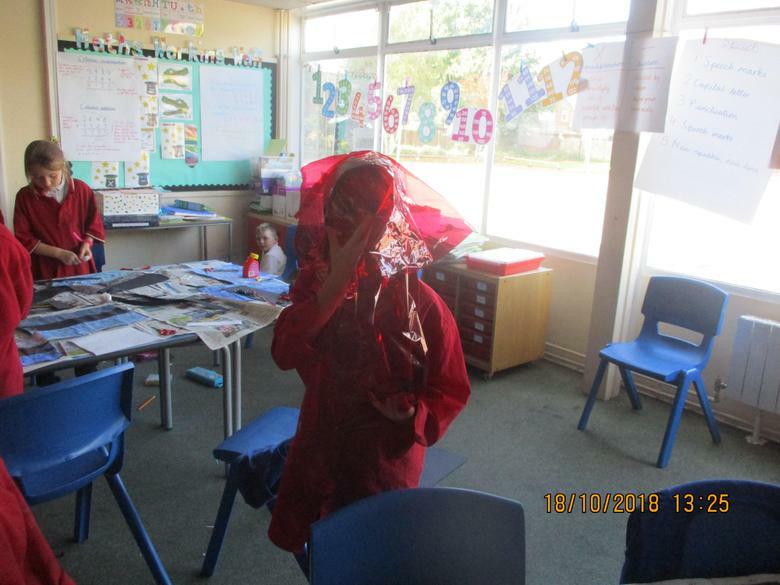 11.09.18 Year 4 had great during our topic day on Tuesday. 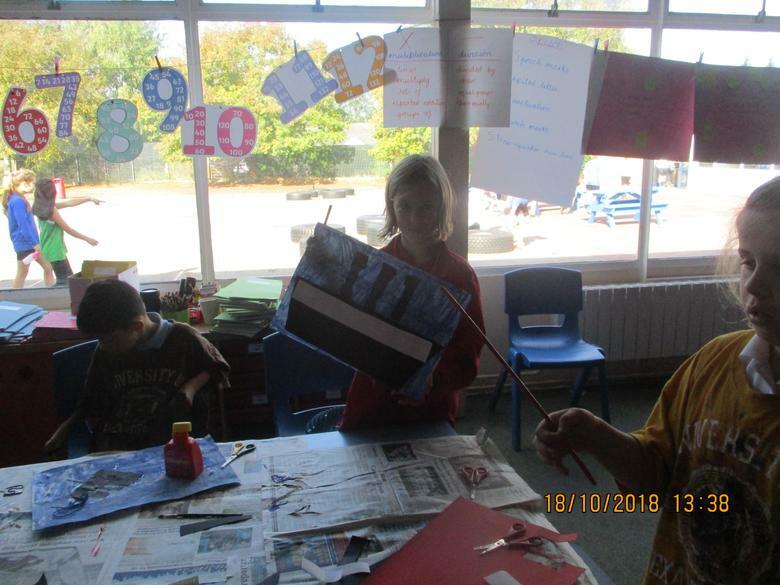 We learnt about one of the youngest crew members on the Titanic by looking through his suitcase; we discovered how large the ship and the iceberg were by measuring them out; we experienced what it would have been like for each class. Hello and welcome to Cuckoo class! 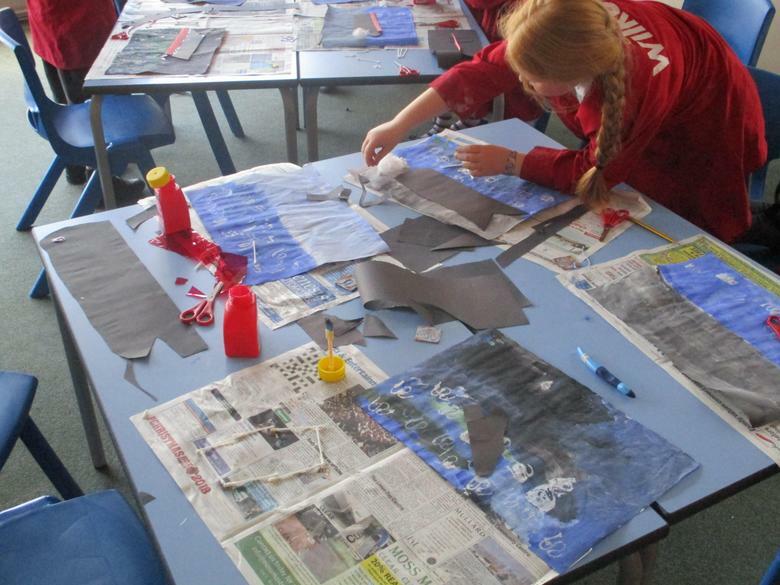 I hope you had a nice summer and are looking forward to learning about our new topic this term! 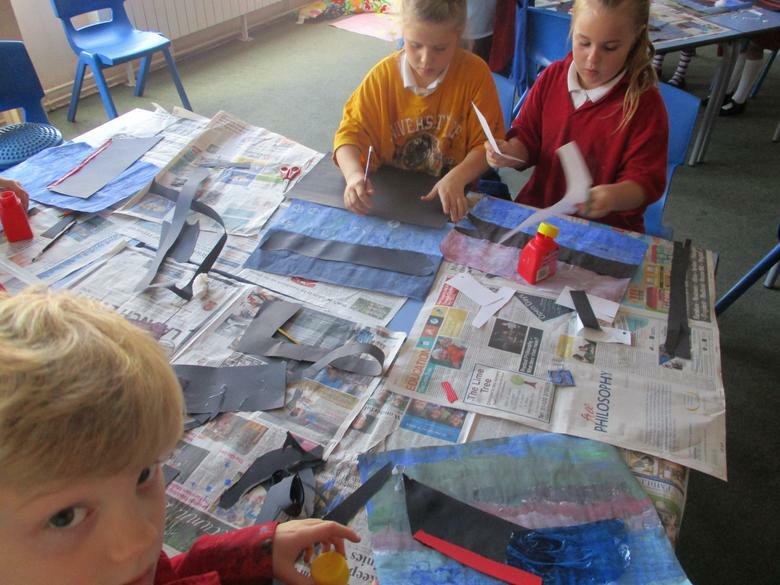 We are learning about Titanic: Triumph or Tragedy? Fraction Wall An interactive fraction wall to help your children explore equivalent fractions. Times Table Rockstars A fun way to learns times tables and earn rewards. Topmarks Maths games A range of games to practise maths topics. 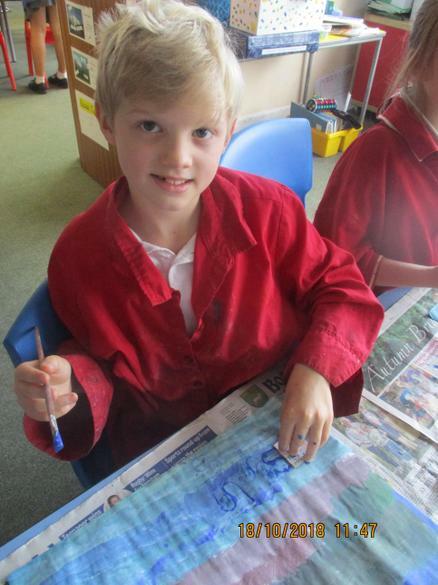 Welcome back to all the children for the summer term at Weyford Primary School.